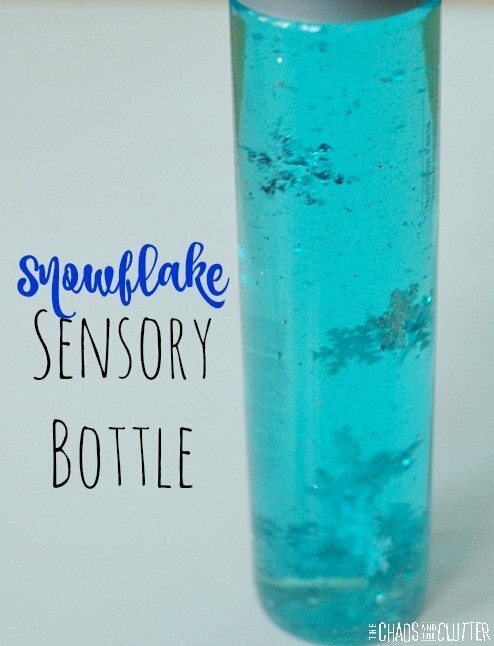 Making this snowflake sensory bottle also offers the opportunity for a simple science lesson. The results are so pretty. Fill the empty water bottle with water, almost to the very top. 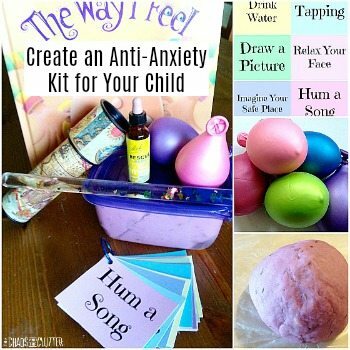 Add glitter and snowflake confetti. This is where the science lesson comes in: Water is a polar liquid so it dissolves other liquids which are also polar or somewhat polar. 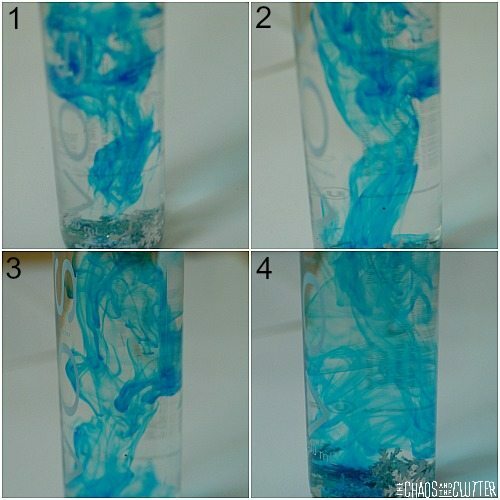 Once you explain this to the kids, ask them if they think that food colouring is polar or non-polar, or in simpler terms, ask them if they think that food colouring will dissolve in water. 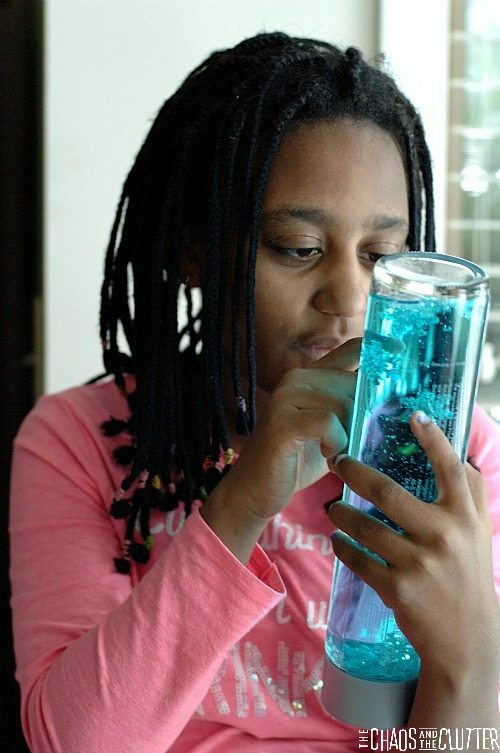 Then have one of the kids squeeze some drops of blue food colouring into the sensory bottle and observe what happens. 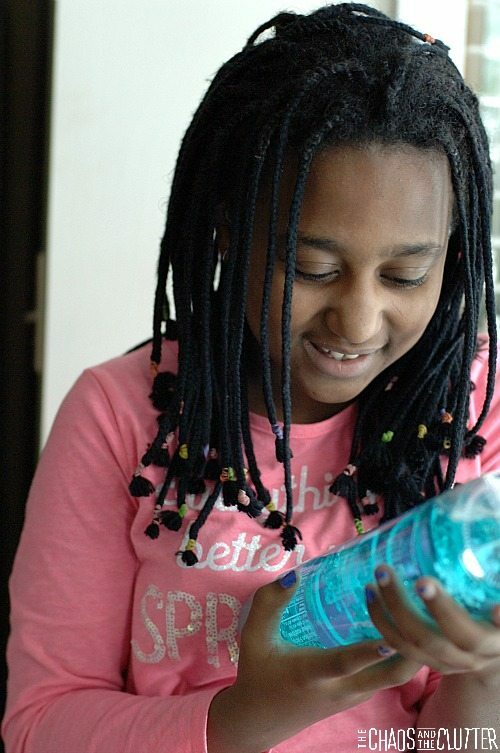 The kids will observe that the food colouring does dissolve in the water which means that it is also a polar liquid. Put the lid on the bottle. 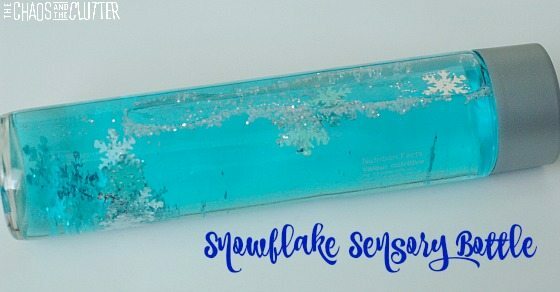 If you are going to be using this snowflake sensory bottle with younger kids, you may want to secure the lid in place using a hot glue gun. Of the sensory bottle we’ve made, for some reason, our daughter Dancing Queen found this one the most fascinating. 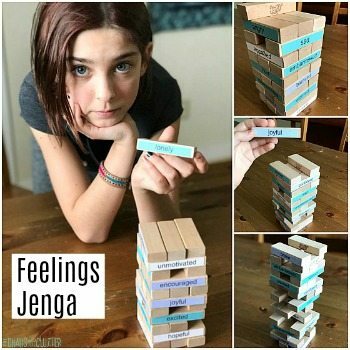 She was mesmerized by the movement and spent a lot of time playing with it. 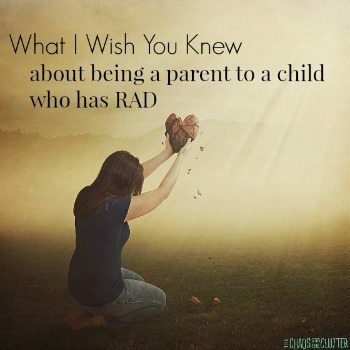 Our other kids enjoyed it too but she was the most thrilled by it. 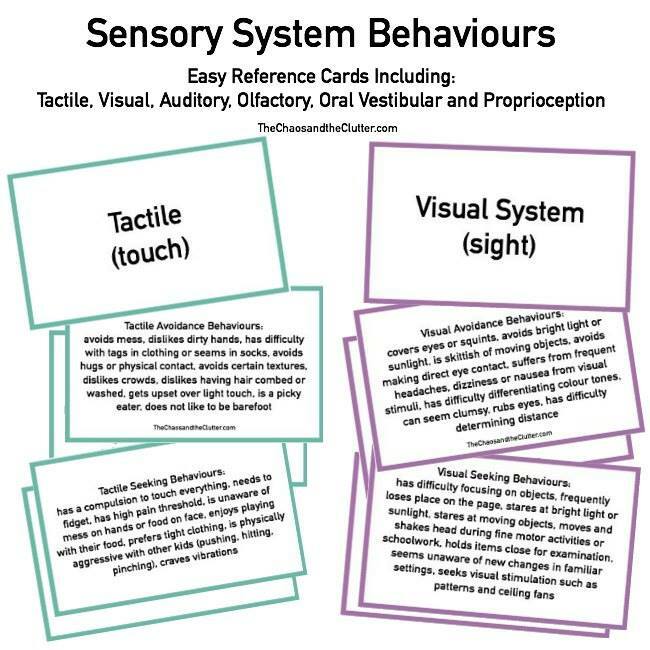 If you are looking for other sensory ideas, sign up for the 5 part email series Sensory Solutions and Activities and get our free Sensory System Behaviours Easy Reference Cards.